The new digital credit card is available exclusively on Apple devices. Apple Card is easy to sign up for on your iPhone’s Wallet app, according to the Cupertino-based company. The digital credit card will work anywhere you can use Apple Pay. Every time you use Apple Pay with your Apple Card, you’ll get two percent ‘Daily Cash’ back. Direct purchases from Apple users will get three percent back as well. Daily Cash can be used everywhere you can use Apple Pay, and can even be used to pay off your balance. There is no limit to how much money you can get back daily. With the Apple Wallet app, you can easily see your total balance when you have to make your next payment and your previous transactions. 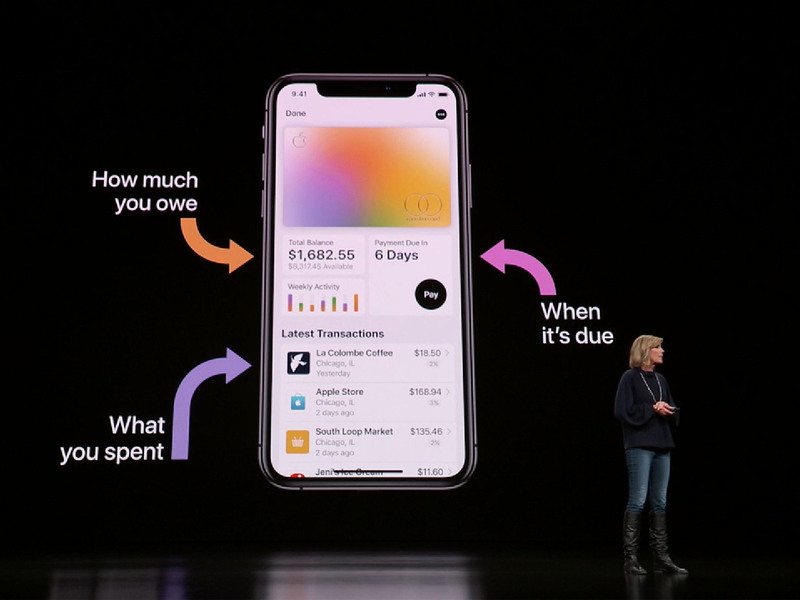 With Apple Card, the Cupertino-based company will also simplify transactions and will use data to make your previous transactions easier to read and understand. To save on interest you can pay bi-weekly and weekly. Apple Pay has no late fees, no annual fees, no over limit fees and no international fees. Even if you miss a payment Apple will not charge a penalty. The American company has also promised lower interest fees. Apple has partnered with Goldman Sachs and Mastercard, which will allow the card to be accepted all over the world. Goldman Sachs has also promised to never share or sell user information. Apple plans to keep your information secure and says that the company will not know what you bought, where you bought it and how much it costs. Every payment needs either Face ID or Touch ID for it to go through. Apple will release a physical titanium card that features no card number, no CVV and no expiry date — though all that information is available on via Apple Pay. Payments with this card will get users 1 percent ‘Daily Cash’ back. Apple Card launches this summer in the U.S. 2019. It’s unclear if Apple Card will ever make its way to Canada but we’ve reached out to Apple for more information and will update this story when it becomes available.